Beaumont Health is striving to ensure the organization continues to improve quality, support ongoing growth and enhance access for patients where and when they need care. To support this transition, certain portions of Beaumont's hospital operations leadership will be restructured on Feb. 1. The leadership changes are the next step in Beaumont's ongoing evolution, which has included recent announcements about outpatient campuses, urgent care and mental health. "Patients are gradually choosing more outpatient-based services, rather than inpatient hospital settings. We must create more access for our patients through a network of acute care campuses, outpatient and retail sites, and joint ventures and partnerships," Beaumont Health CEO John Fox said. "This restructuring helps ensure our future success in the ever-changing world of health care." Nancy Susick, RN, will become president for Beaumont Hospital, Royal Oak. 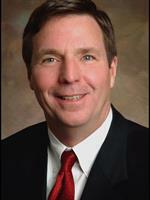 David Claeys will become president for the Dearborn and Farmington Hills hospital campuses. Christine Stesney-Ridenour will become president over the Taylor, Trenton and Wayne hospital campuses. James Lynch, M.D., will become interim president for the Troy and Grosse Pointe hospital campuses. Connie O'Malley, RN, will become president, Outpatient Services. Lee Ann Odom will become president, Shared Services. She will also remain the leader for Beaumont's mental health expansion plans. As part of the restructuring process, three leaders will depart the organization. Rick Swaine, current president of Beaumont Hospital, Grosse Pointe, will leave Beaumont to pursue other opportunities. During his more than 30 years of service, he has led his team in making Beaumont, Grosse Pointe an award-winning community resource with a Magnet-designated nursing program. Rosanna Morris, RN, current president of Beaumont Hospital, Royal Oak, has accepted an executive leadership position with MD Anderson Cancer Center in Houston. Rosanna has overseen tremendous growth and expansion during her tenure, including opening the renovated Emergency Center and the first Proton Therapy Center in Michigan. Eric Widner, current president of Beaumont Hospital, Wayne, will leave Beaumont to pursue other opportunities. During his ten years of leadership, his team has served the diverse needs of Wayne and surrounding communities and solidified Beaumont, Wayne as a community asset. "We celebrate the successes and contributions of our departing leaders and wish them the best in their future endeavors," Beaumont Health Chief Operating Officer Carolyn Wilson, RN, said. "We are also excited about our leaders who will take on more responsibility and help our health system become the national leader for patient and family-centered care." Beaumont Health is Michigan's largest health care system and is the most preferred for health care in the tri-county area, according to National Research Corporation survey data. A not-for-profit organization, it was formed in 2014 to provide patients with the benefit of greater access to extraordinary, compassionate care, no matter where they live in Southeast Michigan. Beaumont Health has total net revenue of $4.5 billion and consists of eight hospitals with 3,429 beds, 187 outpatient sites, nearly 5,000 physicians, 38,000 employees and 3,500 volunteers. In 2017, Beaumont Health had 175,700 inpatient discharges, 17,800 births and 575,000 emergency visits. For more information, visit beaumont.org.